Lake Garda Hostel is just a few steps from the centre of Salò, surrounded by mountains and just 50 m from Lake Garda. It offers free WiFi, a lake-view rooftop terrace, and free parking. 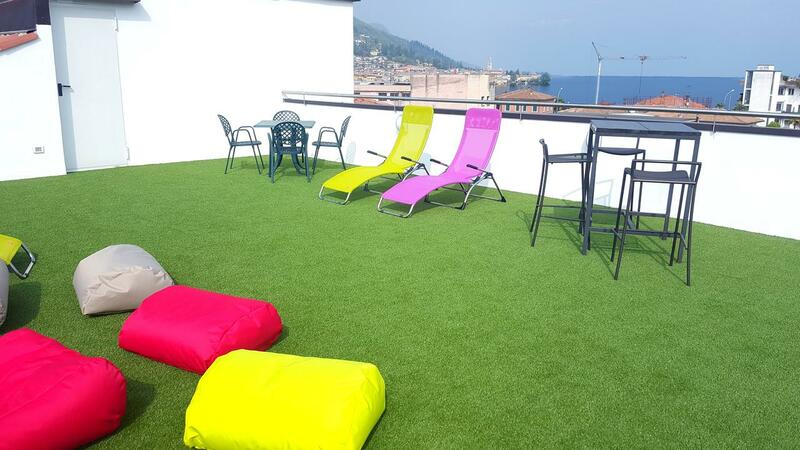 The Lake Garda Hostel features en suite rooms with satellite TV and beds in dormitories, both with contemporary-style decor and air conditioning. Breakfast is buffet style. A snack bar is also available on site. The hostel is just 100 m from the town centre, the beach and a large sports centre. It is situated on the West coast of the lake, between the cities of Brescia and Verona.